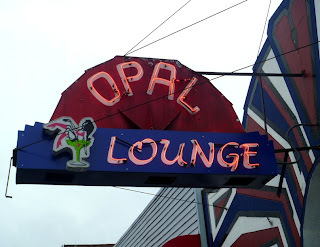 I haven't found any reliable dating of the Opal, but it is old. 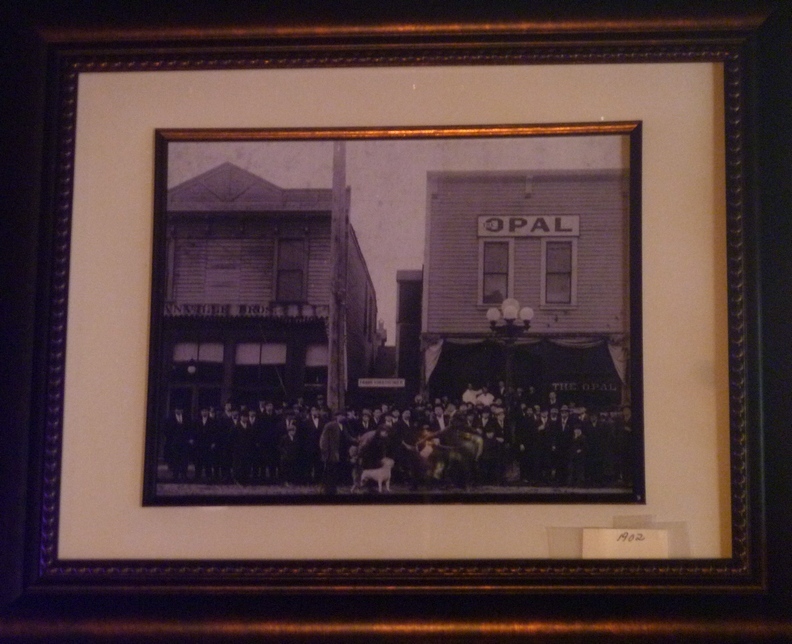 I've read starting dates of 1906 and 1912, and behind the bar there is an very old photo of the Opal brought in by a customer with "1902" taped in the corner. 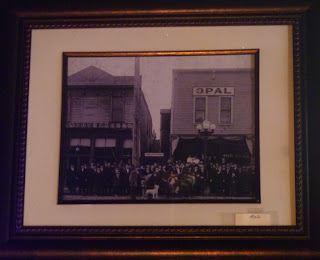 However, the building with Opal sign in the photo is clearly the building two places down from the current location, just north of the old Edison Soft Drink Parlor (constructed c. 1900), an address that is now 5220. It is listed at the current address by 1934. 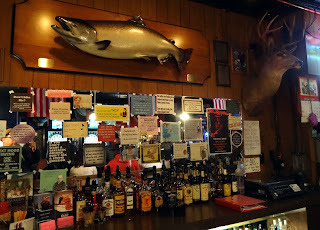 Nowadays, the bar is a classic little dive, the senior citizen of stretch of dives along the old abandoned highway that is South Tacoma Way. Years ago, the place was known more for its pizza, which it served out through the window of what is now a karaoke stage. The place was purchased by Richard & Carol Charette in 2002. 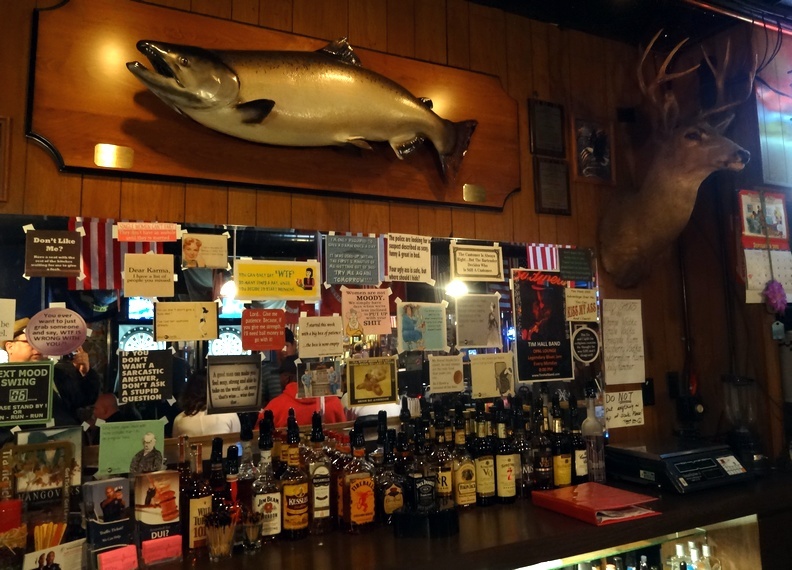 Richard passed away about a year ago, and Carol put a For Sale sign in the window, but folks at the bar say that she's not willing to part with it for a price that anyone else would be willing to pay. 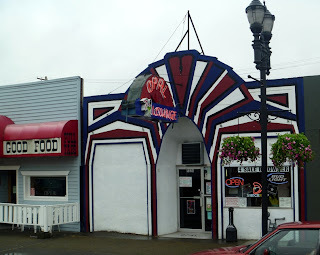 Sometime in the last few years the outer facade was painted red, white and blue. 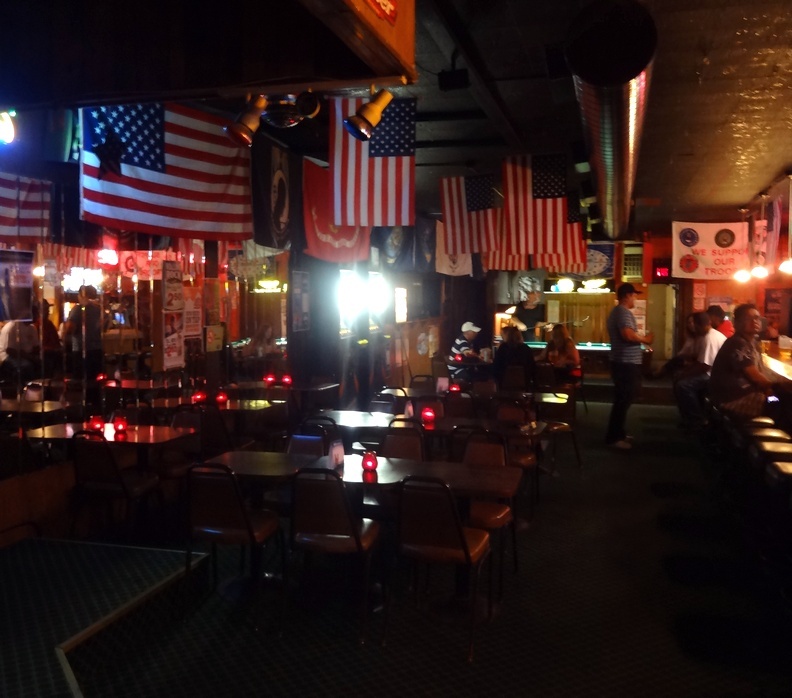 The super patriotic theme continues inside with American flag after American flag hanging from the ceiling, and various military and patriotic stickers and tchotchkes lining the walls. 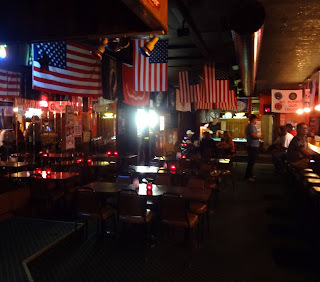 The patriotism takes mostly positive, upbeat forms -- including posters for benefits and tributes; but in a few places it takes a more embittered form -- a urinal lined with "Hanoi Jane" stickers, another sticker telling people if they can't speak English they don't belong here. 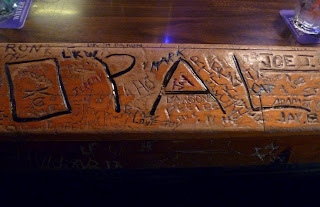 For better or worse, this stretch is lined with old drinking holes and some old ideas.